In the 1850s, as what would become the Dakota Territory grew in population and industry, townsites were claimed in hopes of profiting on the westward expansion. Dakota City was one: at the confluence of the Sheyenne and Red Rivers, opposite Lafayette, Minnesota, it hoped to grow and flourish. Today, it no longer exists. The location of Lafayette (which also no longer exists) is well documented, but the original location of Dakota City is still inconclusive. 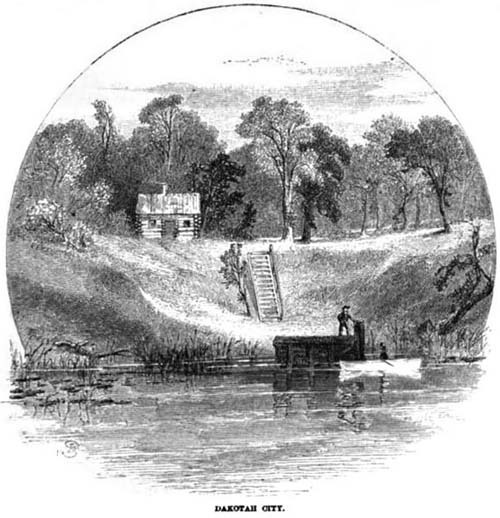 Image above from an 1860 edition of Harper's magazine, documenting a pre-Territory trip along the eastern border of Minnesota, a freshly-minted state at the time. 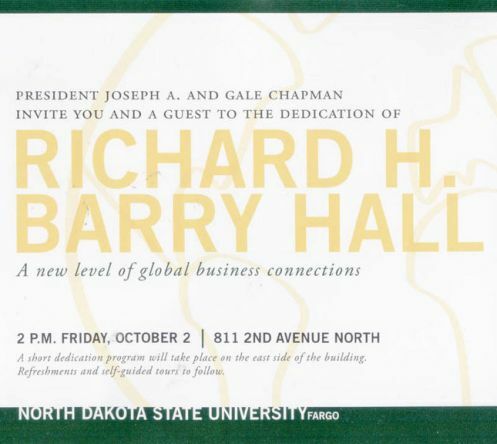 The day is nearly here: the reopening of what used to be the Pioneer Mutual Building, redesigned as Richard H Barry Hall, a part of NDSU's ambitious downtown expansion. In case you didn't know, I worked in that building from 1998 until 2004, and in that time I became more interested in the building's history and the history of the A.O.U.W., including acquiring some films, documentation, receipts and policy paperwork. Don't tell anyone, but I even grabbed a brick from the demolition of Pioneer East. The original building — a large office building for its time — is now a tiny, tiny part of a huge structure, and I'm becoming more impressed as time goes on to see its stature continue to grow and dominate the western edge of downtown Fargo. I plan on going to the dedication next month, and I intend to take pictures.